Had the benefit of meeting the Whitten Mazda team. While I ended up not purchasing a vehicle from them, I would not hesitate to do so for a future vehicle. I highly recommend the folks here. Especially Harold Toast who treated me with respect and kindness. If you go to Whitten Mazda, I suggest asking for him by name. There's 2 dealerships I really trust in RVA, this is one of them. Like so many people I'm not a fan of the whole buying a new car thing, but our experience with Whitten Bros. Mazda was surprisingly pleasant. Pleasant enough that we ended up buying a new CX-5 on the spot - despite our initial plan to leave and think about it! Harold Toast was informed on his product, wasn't pushy, and made us feel comfortable dealing with him. Same for Nick the manager who gave us a reasonable price and fair trade-in allowance. Not so great though is the picking up the car stage. The paperwork aspect on the financial side could be improved, but that may be the case at all dealerships. And at this stage I wasn't in the mood for the hard sell on the extras - sealants, warranty extensions, etc. I just wanted to get my new car! To be fair this is probably the same at all dealerships, and upselling is part of it, so I don't fault Whitten so much as the industry practice. Despite that it was a surprisingly good experience and we are enjoying our new CX-5 immensely. So thanks. My experience at Whitten Brothers was top of the line. My sales associate was kind, knowledgeable and patient. He took the time to accommodate every concern and request I had. All in all I am very happy with my purchase and the service I was given at this dealership. Ron and Bill were very professional and helpful in the purchase of a new Mazda3, while helping me in the process of turning in a leased Mazda6. I feel I received a fair deal, and didn’t have to spend much time in the closing process. Would have preferred a little less of the sales of add-on services, but understand that is an inescapable part of the process. At Whitten Brothers Mazda in Richmond, VA, we have a great selection of new and used Mazdas. We carry popular models like the Mazda3, Mazda CX-5, Mazda6, and the Mazda MX-5 Miata, all available at our Richmond Mazda dealership on Midlothian Turnpike. Whitten Brothers Mazda serves Central Virginia, including Richmond, Glen Allen, Bon Air, Tuckahoe, Chester, Chesterfield, Petersburg, Short Pump, and Colonial Heights. At Whitten Brothers Mazda, we’re committed to helping you find the new or used Mazda that you’ve been wanting. Our friendly sales team will help you pick our the perfect Mazda with the options you want. and our knowledgeable finance team will work with you on the car loan or lease that best fits you. 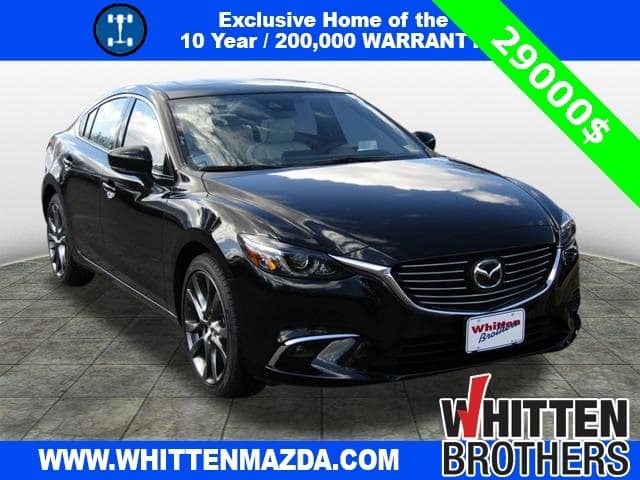 Visit our showroom today to take a test drive and learn more about what sets Whitten Brothers Mazda apart from the competition – our people, our selection of Mazda in Richmond, and the Whitten Advantage.